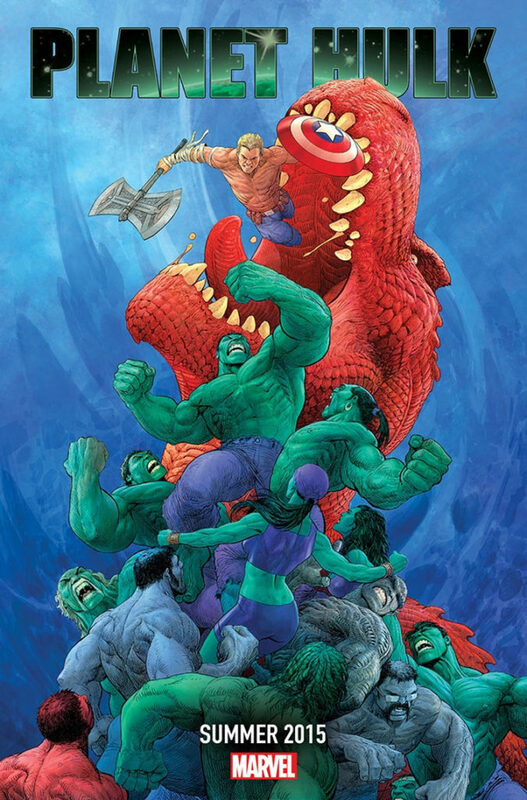 In 2006, Greg Pak wrote what is viewed by many as the definitive modern Hulk story. The Illuminati, a secret organisation of the most influential figures in the Marvel Universe, viewed the Hulk as too dangerous to remain on Earth; and so they chose to exile the Hulk to a paradisical planet. Naturally, it went catastrophically wrong, with the Hulk landing on Sakaar. This was a brutal world that challenged him like never before, and the Hulk wound up a gladiator in an arena, ultimately escaping and leading a popular uprising against the Sakaaran ruler. The Hulk is NOT to be messed with! ‘Planet Hulk’ drew to a climatic end with a malfunction on the ship that had brought Hulk to Sakaar; this destroyed the world that the Hulk had built, even killing the woman he had loved. 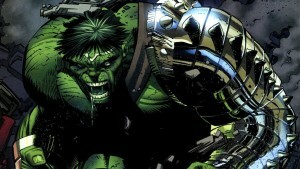 This devastation was the trigger event to ‘World War Hulk’, in which the Hulk sought revenge against Earth’s heroes. The story is so fondly viewed that, after Mark Ruffalo’s performance in ‘The Avengers’, fans desperately hoped that Marvel would try out a third Hulks movie, based on this concept. Kevin Feige nixed the idea, pointing out that it was useless finding a good actor to play the part of Bruce Banner if you then produced a movie that never featured Bruce Banner. That being said, the advertising image for ‘Secret Wars’ looks very different. Rather than adhered strictly to this event, it seems that the territory of Battleworld is actually a world of Hulks (referred to as Greenland on the Battleworld map), perhaps where a gamma-based war has turned all of humanity into Hulks. What does this bring to ‘Secret Wars’?